This post is all about headwear and about (nearly) all the headwear I own. And especially on headwear for winter as the winter has finally arrived also to the Southern parts of Finland! The post is a follow-up for the old Gloves for winter post and inspired by Dave Chenault’s post who seems to have quite a different approach on winter headwear but apparently also different needs. Here I present my winter headwear divided into three categories and int the end introduce the selection I usually carry on winter tours. A Buff is a great piece of headwear all year round. Never leave home without it! Buff Original – maybe the single most used piece of outdoor clothing I have! I rarely go out without a Buff or two. Usually I use them as a pirate style scarf, a beanie or as a neck warmer. I’ve even used the Buffs as mittens when I got my gloves accidentally wet on a ski trip on lake ice. I’ve tried also other versions of Buff but still find the Original the best. It could be two centimeters longer but otherwise it’s perfect for me. In addition to or instead of the Buff Original I sometimes take a thin fleece beanie. It’s an old Jack Wolfskin micro-fleece beanie. Very thin and simple beanie with two layers of fabric on the headband. It’s perfect when the Buff is not enough and often gets used also as a sleeping and camp hat. It’s very breathable but the down side is that it’s not windproof at all. Thin headwear layered. The micro-fleece beanie worn under a Finnsvala Windproof Ski Cap. Picture from Hvannadahlsnjúkur at Vatnajökull. For windy conditions I add a thin windproof hat. I have and old Goretex Windstopper one from Haglöfs but more often use Windproof Ski Cap from Finnsvala. It’s good as a standalone piece for windy but not especially cold conditions and when you layer it on top of a Buff and fleece beanie the combination can handle also quite cold weather. And if the weather is totally terrible, I move the Buff on my neck, layer the headwear and pull up the hood from my shell jacket. System is the name of the game. But if it’s really cold, it makes sense to have some thicker and warmer headwear in the system. My lighter warm option is Extremities Polartec 200 Took hat. It’s quite a simple hat made of 200 weight fleece with nicely fitting headband and good protection on ears. The good and bad thing is again that it’s not windproof. The Extremities 200 hat after a morning and night in balmy -39C. Also visible the two hoods I like to have in winter. If it’s both cold and windy I pull out the TNF High Point Windstopper hat. It’s made of 300 weight Polartec fleece with Goretex Windstopper membrane and thin fleece lining. It sports quite good headband and ear protection but not as well-fitting as the Extremities version. The positive side of looser fit is that it can fit a Buff or a thin beanie under it for the coldest of days. N modeling a fox hat. That or similar would be super warm! I’m not especially big fan of hoods in clothes as I find them restricting my senses and movement. I mean, some people like to have a hood in every single garment they own from socks to hats but I’m fine having a hood only in my shell jacket and another one in my warm puffy jacket and using them when I have to. But when I have a hood, I want it to be really good as it’s the extra protective barrier against the harshest conditions, different forms of rain and stormy winds. I like especially the hood in my Sasta Everest jacket accompanied with a fur ruff. My winter down jacket (Marmot Greenland jacket) has also a good hood though it doesn’t really work well layered on top of the Sasta’s hood. Feeling invisible sheltered in the hood of the Sasta Everest jacket. Included also goggles with hard face mask, a good addition for skiing in winter storms. In addition to hats and hoods balaclavas come handy in bad conditions. I’m not a big fan of balaclavas either but sometimes they just make sense. They offer very well sealed protection to you neck and head but I find them too somewhat restricting and use them only when I really need to. I have few different models from Finnsvala: the merino-based Extreme for the less extreme conditions, the windproof Power with detachable fleece nose-protecor for really bad conditions and the Commando with Jonaset warmer , though I haven’t found much use for it. The Finnsvala Extreme balaclava with home made nose protector layered with micro-fleece hat after a skiing trip in below -30C. 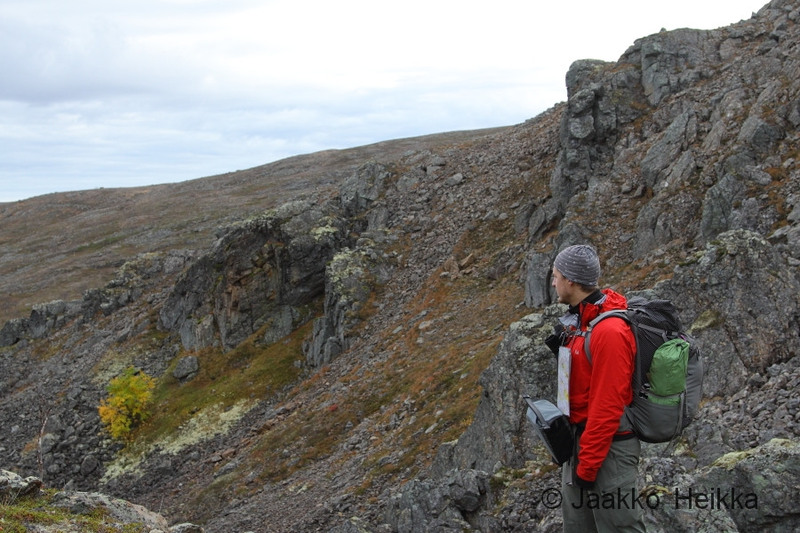 My headwear system for summer trips (which in the North can be anything from +30C sunshine to below zero snowstorms) is quite simple: Haglöfs Box Cap, Buff Original, maybe a thin fleece beanie and the hood in my shell jacket, plus a mosquito headnet in bug season. If the trip is short and weather stable one or two pieces can be left at home. But in winter I like to have a bit more in my inventory. If trip is short and conditions stable I leave a piece or two at home to make things more simple and light. But on a long trip I like to have a nice selection of headwear to match the conditions even though I’m not sure if it’s necessary. 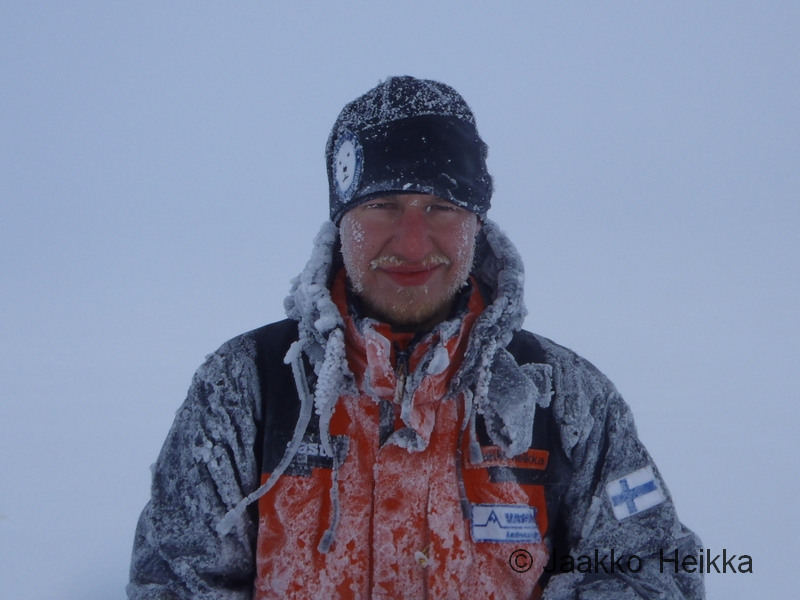 For example on the Vatnajökull 2012 expedition we had very varying weather but in addition to the hood, I only used an Original Buff and the windproof Finnsvala cap as standalones or as combination. So maybe I should leave a hat or two at home the next time? So, what’s your choise of winter headwear?